Haven't you always wished to play the role of your favorite superhero to save the world from some super villains? With Marvel: Avengers Alliance, you get to team up with the Avengers- Spider-Man, X-Men, Hulk and S.H.I.E.L.D. so that you are able to save the world before Dr. Doom, Loki, and the world's most powerful villains beat you and take over the world. 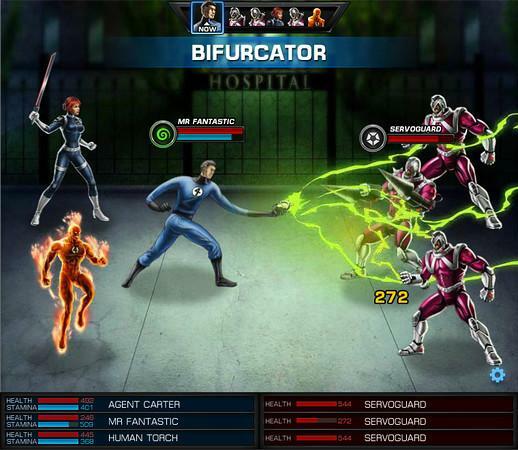 In this game you can easily recruit your favorite Marvel Heroes, and then gear up to save the world. Marvel: Avengers Alliance is right now one of the top games on Facebook in role playing category and overall too. This game features Role Playing gameplay where you play your hero and all this on Facebook from developers Playdom. 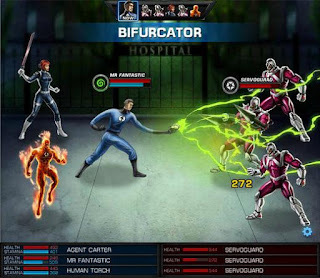 The game of Marvel: Avengers Alliance puts you in the role of a young upstart agent in S.H.I.E.L.D. where you will one of the important human playing your part to save the world. S.H.I.E.L.D. is Marvel Universe’s covert operations agency staffed by regular humans, but often it is tangled up in the affairs of the superhuman community. Don't be afraid, because you will get a brief training mission, then you will be sent to the field to help the likes of Iron Man, Black Widow, and Hawkeye as they begin their investigation into a mysterious new substance known as ISO-8 that will give you the most basic strength that you will need to be likes of The Avengers. And by this way you will be able to make superhero friends in your virtual life crime-fighting alter ego because of Facebook. Marvel: Avengers Alliance , is honestly the best game I have ever seen, you will barely scratch the surface of its gameplay even after a good number of days playing this game. The game will offer you a single-player narrative, it has got quality artwork and also a neat multiple currency system as well. There is so much I can talk about and go on and on. Basically, Marvel: Avengers Alliance offers a lot of substance and depth than you have come to expect from a Facebook game. I would also say that it is one of those rare games that only have simple clicks from you as part of their gameplay. 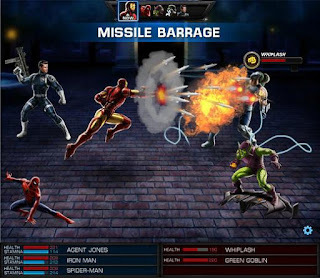 Avengers Alliance puts you in a full fledged war with a large bunch of super heroes, forcing you to play your gameplay and play by strategy. If you want to be the part of a superhero group then start playing Marvel: Avengers Alliance and get to role play the powers of a S.H.I.E.L.D agent as well as all of the Marvel Heroes. Get a lot of friends to play this game! The there are many different coins in this game which are used for training of your heroes, recruiting new heroes, buying resources etc which all need different types of currencies which is not available easily and the most simple method to get them is to ask them from your friends. You will also get to give away gifts to other S.H.I.E.L.D. agents but that's limited in a day period. Don't shy away from using your store resources in fight. You won't get anything from a lost fight except for some items that you get within the fight. If you are close to winning the game, replenish your health and of your allies and use one or more of your offensive weapons. Flight Deck missions are the best way to get you silver coins and to get XP for your Heroes with which get can be upgraded. Choose your heroes with planning. Heroes are divided into categories like Infiltrators, Bruisers etc. which are strong against a particular type of enemy and you would do well to have a variety of heroes with you.